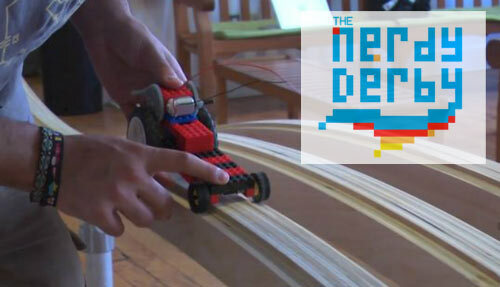 The Nerdy Derby is a no-rules miniature car building and racing competition inspired by the Cub Scouts’ Pinewood Derby. With a larger, more undulating track and no restrictions on the size of the cars or materials participants can use, the Nerdy Derby rewards creativity, cleverness and ingenuity. So I thought this was a cool idea, and I think I’ve been able to convince some of the other Milwaukee Makerspace members that’s it a good idea, and we’re planning out first race. We’re still nailing down the specifics on the track. We may use a standard issue track at first, or meld it with our own modified parts, TBD. Anyway, I’m hoping we can have at least one race on our own, and then we hope to bring it to BarCampMilwaukee7 on October 6th and 7th, 2012. So start building your cars! And yeah, (almost) anything goes. (As long as it doesn’t damage the track.) Electronics? Cheese? Magnets? Whatever you can come up with. 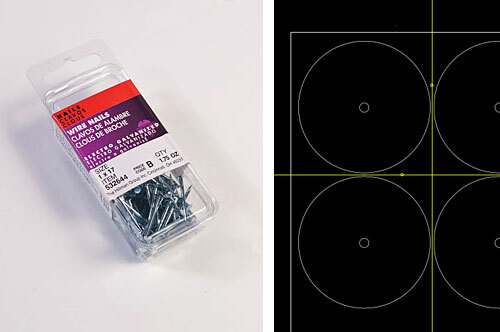 But you don’t need a kit… all you need is something that will roll down the track. You got a box of LEGOs? Or something roundish? Go for it. 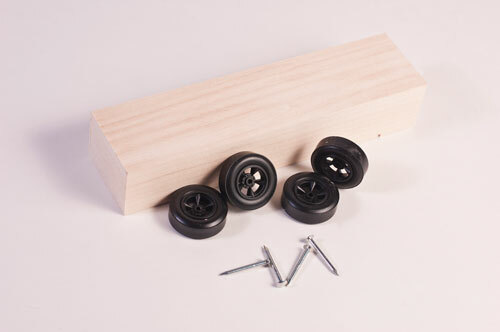 I ended up getting a bunch of nails that are close enough to the right size, and I plan to try two things: laser cut a bunch of wheels, and 3D print a bunch of wheels. If I can make enough wheels, I’ll supply them to whoever needs them. As for the body of the car, we should have enough scrap wood at the Makerspace to provide plenty of cars. You want in? Good. We’d love to have you in our race… Details to follow!